Our dogs are in for some great adventures now that the weather is warming up. It’s time for long walks, playing in the yard, sailing on the boat, and much more. With all the activity, they need comfy spots to rest and refuel. This is a sponsored post brought to you by Tall Tails via Niche Parent. All opinions are my own. During the last few weeks we have had some nice days. 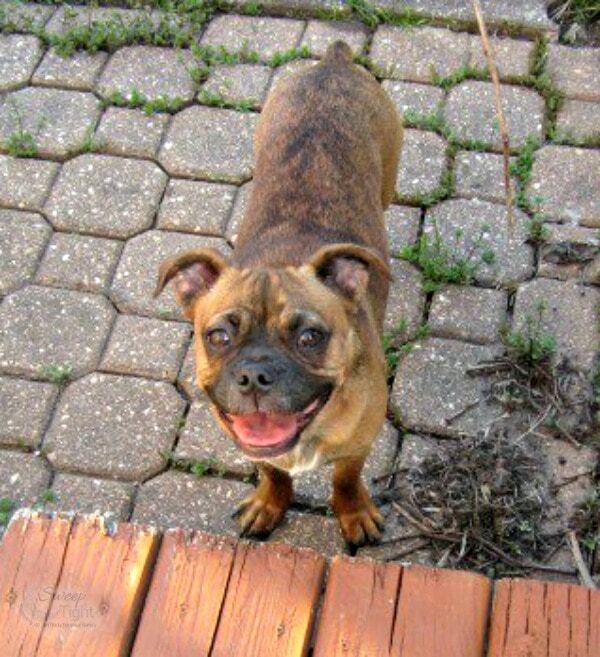 You can seriously see my dogs smiling when they get to run around and play in the yard. We have a door that leads to the backyard from our screened in porch. It’s kept closed during nasty weather. As soon as we open it it’s like unleashing two wild maniacs. They both dart off and race around the yard to play. It’s pretty hilarious! Of course, busy dogs needs a place to rest. We have several dog beds around the house, but some are a lot more popular than others. The Grump jumps into our bed most often, but Hilo is too big to join him there. He has larger beds and tends to be quite picky about them. In fact, he’s been known to just destroy beds. He can rip them to shreds in no time. 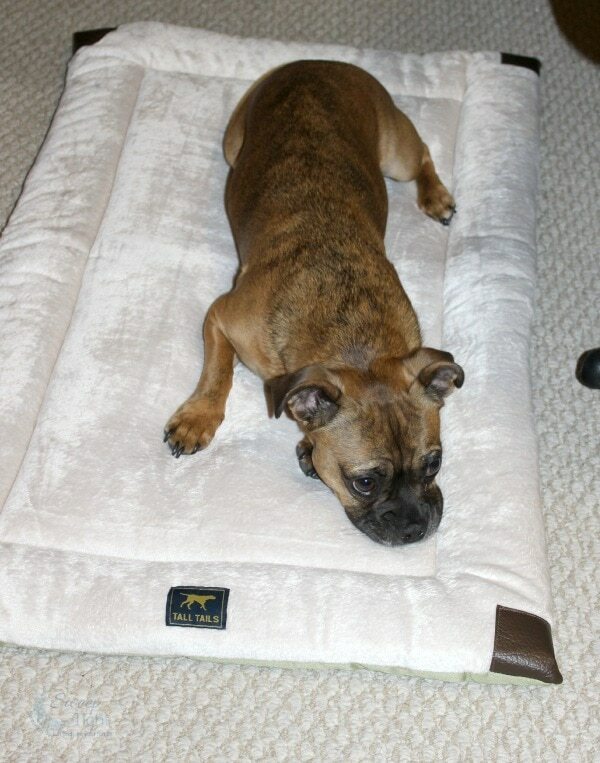 When our Tall Tails® bed arrived everyone got excited. All I have to do is create one tiny gasp and the dogs go nuts. They know something in the box is for them. The bed was shiny and brand new and irresistible to both dogs. After that, we gave Hilo a shot. He’s the one that could really use it. I thought maybe it would be a little too small, but he loves it. It’s his new spot to lay. My favorite part is that the beds are machine washable and dryable, to help maintain a clean and healthy environment. Tall Tails® is a company that gives back. They proudly support hardworking dogs everywhere. From donating beds for military dogs, to supplying warm blankets for hard charging dogsled teams, the folks at Tall Tails believe every dog needs a place to rest before and after each adventure. 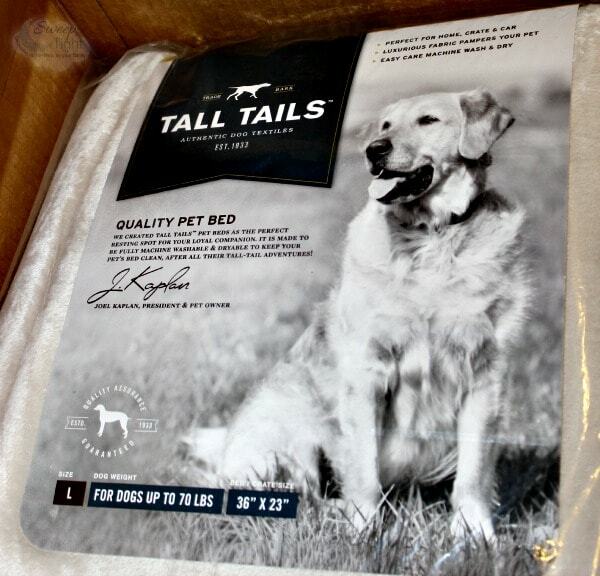 Allow your dog to rest up for upcoming adventures with a comfortable bed from Tall Tails. They are long lasting and great quality. Find out more on the Tall Tails website. Stay social by liking their Facebook page, and following on Twitter and Instagram. I like that it is Completely machine washable and dryable. I have five rescued Treeing Walker Coonhounds, four of who are very active (the fifth is a senior girl who needs a soft bed to sleep on). We can never have too many dog beds at our house, especially since so many are just not made well or are not easily cleaned. I love that this bed can be put in the washing machine. 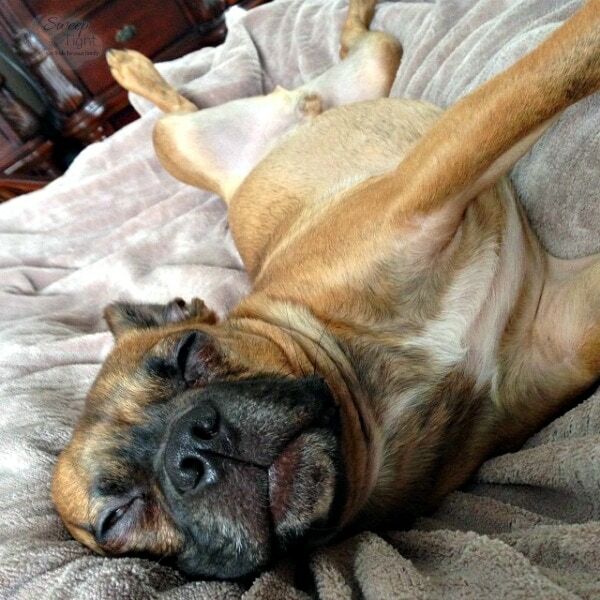 Nothing is more disgusting than a dirty, smelly dog bed – especially just after your dogs have all had baths. For my boy “Harley” he needs a new bed. I would love to win this for our Lillie Lu who doesn’t have a bed. I love that you can machine wash this bed to keep it nice and clean. I love that this is machine washable. My dogs are so stinky from rumming and playing all day! I would love to win this for my Bernese Hank, he needs a nice cozy place to rest. Our pups Love soft things, I bet they would really enjoy this bed!! I like the cape pocket towel. my pup grew so fast..the little bed we got him when he was 30 lbs smaller doesnt quite fit anymore. 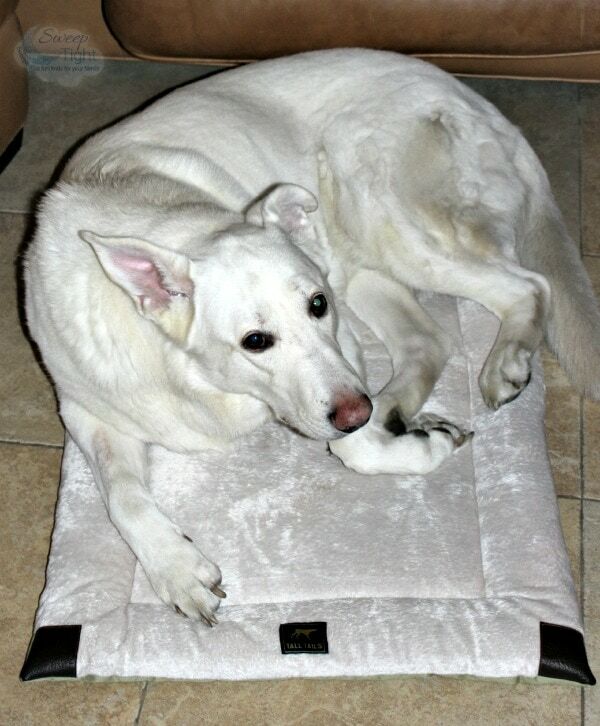 we had him since March 1.. so a bigger bed is needed.. i like the design with this one..it would fit in his kennel too. hes a G Shepard so hes gonna be about 100 lbs like his father or more? Our dog Radley is a puppy and had an accident while on medicine for a rash. He looks lounging around after playing and it would be great for him to have a nice soft bed to rest on! I would like to win this bed for our “puppy.” We believe she is between 10-12 years old and she is getting very arthritic. She was removed from her previous home when the dogs in that house turned on her and injured her badly. We were very lucky when she chose us as her new family. This sweet girl would love to have this bed to sleep on so she can rest more comfortably. We have 5 dogs of varying sizes and several pet beds around the house. I love that this one is completely machine washable. Oh, I’d love to win this comfy looking varmint bed for Mugsy, our aging Maltese who lives with arthritis and chronic renal failure. He lost an eye due to Glaucoma, too, but that never slowed him down. He still thinks he’s the king of the alpha males no matter what species challenges him. Mugsy is on big pain meds now and comfortable, but I know he’d love to rest his achy bones on a new, cushy, fancy-shmancy throne like this one. If we don’t win, congrats to the lucky winner! We are moving to Gatlinburg in June and my girls need a new bed too. I want to win this bed for my dog. She needs a new bed. I love that this one is reversible and machine washable!!! I’m entering this contest not for me but for my 4 dogs who deserve the best. To me they’re members of my family who deserve the best. It’s common as they get older they have back, joint problems.I want them to have the support, comfort to live happy long lives. They’ve done so much for me. I want to do the same for them. They’d love this bed. I would love to win this for my dog Tyler. He has some skin issues and I have found that lying on soft things like this make him happy! 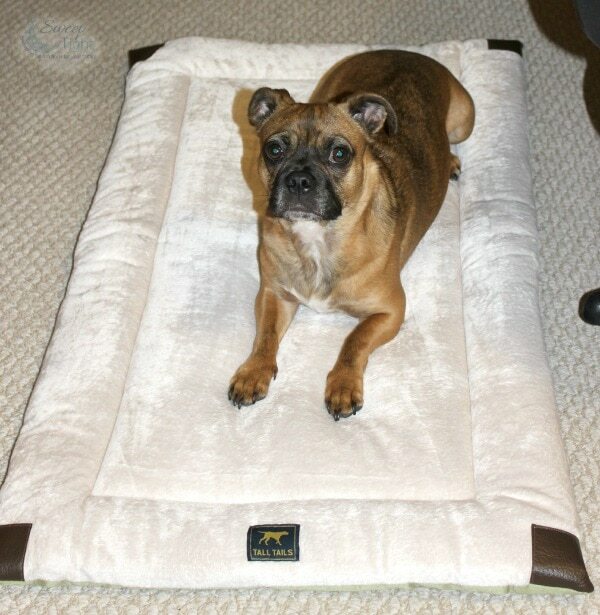 I would like to win one of these beds because they are completely machine wash and dryable! I would like to win because I think this is something my dog would like to lay on. I always love the fact that it is machine washable. I would love to win this , I have 2-13 year old dogs and this looks comfy! I recently adopted a corgi from my friend who was paralyzed in an accident. She could not longer care for it and I would love to win this bed for her dog. I would love to win because we are getting the kids a new puppy! I want to win this as present for my friend who has a dog. Looks very comfortable. I’d like this actually for my kitties to share! Then maybe all the cat hair will stay off of my blankets! I would love to win because My oldest dog, will be 14 in July. He’s getting really old and he deserves to be comfy while he sleeps! I think he’d love this! The cushion comfort bed is also nice or the Sherpa.